Dell EMC has launched a hybrid cloud offering designed for the Microsoft Azure public cloud. The vendor claims its Hybrid Cloud for Microsoft Azure Stack offers a simple and fast path for implementing and sustaining a hybrid cloud based on the Microsoft Azure stack. The new platform helps partners and their customers moving to the Azure ecosystem by offering features such as automated IT service delivery for traditional and cloud-native applications. The vendor said that as a result, organisations can better engage with their customers, reduce time to market for new services, and free-up resources to focus on adding business value. Dell EMC has had a long standing technical partnership with Microsoft. The vendor was the first to ship a Microsoft-based hybrid cloud in October 2015. The vendor said the new offering complements its other turnkey platforms such as its Enterprise Hybrid Cloud, introduced more than three years ago, and and its Native Hybrid Cloud that integrates hardware, software and automation. In an local context, Dell EMC A/NZ enterprise general manager of service providers and alliances, Phill Patton, said businesses are realising the opportunities of hybrid cloud, but as a market we haven’t figured out how to fully implement these solutions. “Dell EMC Cloud for Microsoft Azure gives services providers an important role to play in the uptake of hybrid cloud by bringing public and private cloud together in one turnkey solution for customers. We look forward to working with service providers locally to bring a true hybrid cloud model to the A/NZ market,” he added. “Australian and New Zealand business leaders have embraced cloud adoption and many already have a hybrid cloud strategy in place,” added Dell EMC A/NZ director systems engineering, Danny Elmarji. “As businesses move past the point of experimenting with the cloud, we have more customers asking how to easily move core applications between the public and private cloud. “This first-of-its-kind turnkey solution allows Microsoft Azure users to continue to enjoy the benefits of the public cloud whilst being confident that valuable data is protected with Dell EMC backup and encryption. “By bridging the gap between on and off-premises cloud solutions, we enable IT teams to free up time and budget so they can focus on innovation and improving customer facing applications,” he said. The launch of the new product comes on the back of a big customer win for the vendor with Salesforce signing a multi-year deal to use Dell EMC infrastructure in its global data centers and rollout Dell laptops to all its employees. The deal sees Salesforce extend its use of a variety of the vendor’s solutions, including VMAX All Flash and Isilon scale-out NAS storage arrays, Data Domain data protection products and PowerEdge servers. 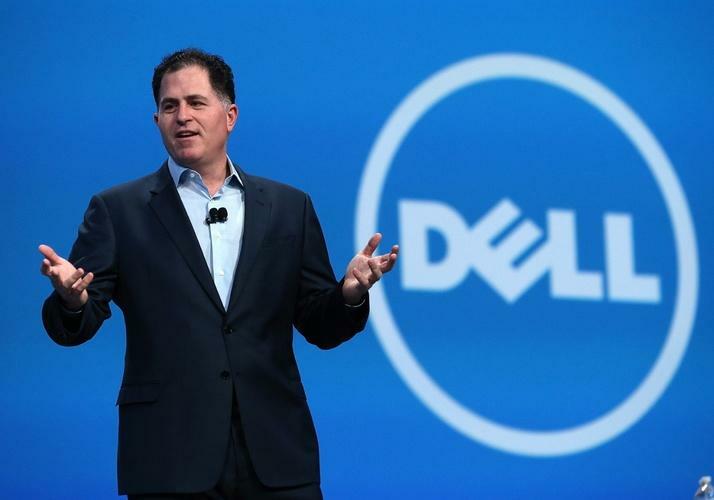 Speaking of the deal, Dell EMC CEO, Michael Dell, described it as “an important milestone” in the two companies decade-long relationship. "Michael and Dell have been amazing partners contributing to Salesforce's success. We're thrilled to extend our relationship with Dell Technologies as we deliver the scale and innovation to support the needs of Salesforce's growing global customer base," Salesforce chairman and CEO, Marc Benioff said.